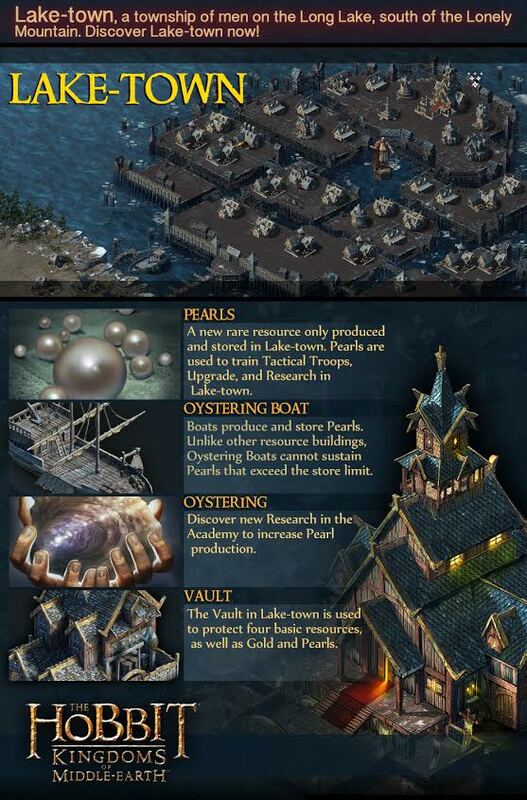 So in essence, Lake-Town will function like your other cities, but resource production will focus on Pearls, which serve as resources for training tactical troops, and which are produced with the help of Oyestering Boats. Production is sped up with the new research Oystering in your academy. Furthermore, the Lake-Town Vault protects these Pearls but also your Gold from now on, and of course a new range of heroes will be introduced, such as Bard the Bowman, to level up and equip with their very own gear. That’s it for now, any more news will be posted as soon as possible! 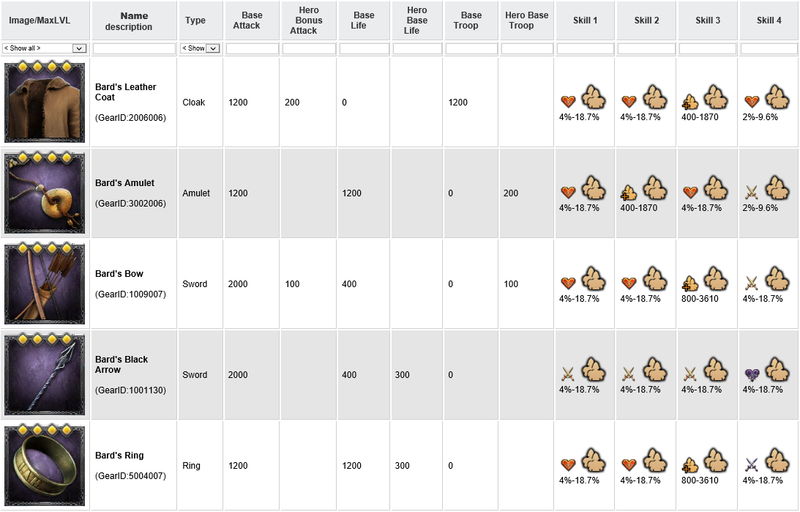 This entry was posted in Blog and tagged 5th, bard, boat, city, equipment, expansion, fifth, gold, kabam, kae town, kingdoms of middle earth, KoM, laketown, oystering, pearls, tactical, the bowman, vault by beardmonkey. Bookmark the permalink. Will the city be available for purchase or is it won? If available to buy how much will it be? 4th cities were 240 mithril. Supposedly 5th city is coming to my world this weekend 11/27. Images of the Bard gear as they are now included in the game… and properties and skills..
Hello Marcel, you play on which server ? The screen come from you ? Any word on whether player levels will go above 100 with the addition of the new city and all the building it will entail? not that I have heard of no..